Now that you are back in the Windy City, you need to rally your troops to get your team some stadium noise! 974 fans? Holy smokes. Maybe they need to lower the guaranteed rate for tickets to a few bucks at Guaranteed Rate field. Well there’s several factors at play. Over 10,000 tickets were sold which for an early season game is not unheard of. The game was scheduled as a night game, but moved up to 1 oclock because of the crappy weather we’ve been having. Now you can presume that a lot of people were having to work that bought tickets for a night game. Furthermore, that morning we woke up to several inches of snow on the ground. The weather was bad enough that the Cubs cancelled their home game just 8 miles away. The temp at game time was in the low 30’s. It was windy. The Sox got swept over the weekend by the Tigers losing three winnable games. Yesterday the Sox had an afternoon game and had a much better crowd, not spectacular, but better. When the Sox get their 2nd rated farm system in baseball up to the league you’ll see attendance rise dramatically. They’re following in the footsteps of the last two WS champions who rebuilt. They also have a load of cash to join in the Manny Machado sweepstakes, the Bryce Harper sweepstakes and whomever else will be free agents next year. The Sox are going to be contending for championships in about 2 seasons. But yeah, despite all that it’s a little embarrassing to see the place that empty. @approxinfinity I went on opening day and paid 7 bucks for my ticket. Prices are not the issue. @wissox nice! I miss those days a little bit. As a Nats fan i kind of hope when we lose our stars Rizzo gives up the ghost on being competitive so the tickets get cheap and we get to watch young talent develop. I like the ebb and flow. @approxinfinity I was actually a Cub and Sox fan until 1985. The 84 Cubs made them popular and suddenly going to a game at wrigley was out of reach for me. Before that great season, you could go to cubs games for a few bucks. But then the yuppies showed up and I devoted myself to the Sox only. @wissox Lots of factors at play! My wife and I had tickets last year here in Columbia to see the Fireflies play when T Tebow was still here. It was horrible, cold, drizzly weather. So we didn’t go and never regretted it. The W Sox fans who got rescheduled out of being able to go b/c of the move to the afternoon might have been secretly grateful they didn’t have to go to a miserable weather game that night. Matt Davidson has now hit 5 home runs in Royals stadium this year. I think he likes that park. Update, now he has 7 homers in KC. @dylans He’s a guy who’s going to finish his career with a lot of homers and strikeouts. He’s kind of a new day Steve Balboni. This is why early season baseball is such a joke, watch highlights and most the stadiums are 30% full. It doesn’t take 160 games to figure out who should be in the playoffs. Thank god some hawks are still in the NBA playoffs so I have something to watch. 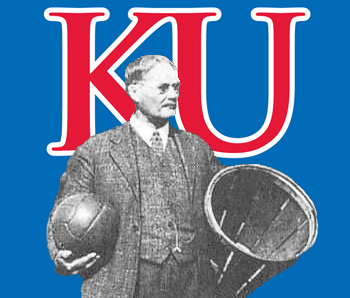 @kjayhawks You’re wrong! Sorry, I love baseball, can’t get enough of it. 162 game schedule suits me just fine. It’s the greatest sport in the history of mankind! It’s got some flaws for sure, but obviously I love it. But please, if you want to watch boring NBA, be my guest! White Sox are now 5-2 against KC and 6-27 against the rest of baseball.